Welcome to the world of our nature guides. 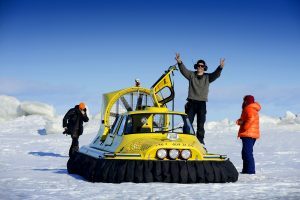 While their daily life is begins with planning, logistics and activity safety, their real claim to fame lies in their ability to seamlessly help ease you into our arctic way of life. 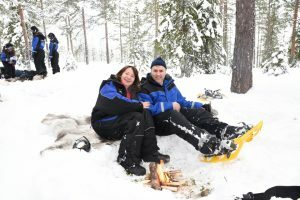 Soon after arriving at Brändön Lodge or Pine Bay Lodge their advice and guidance will help to see you having fun with activities such as snowshoeing, lighting fires in the snow, tracking wild animals, snowmobiling and ice fishing to name but a few. 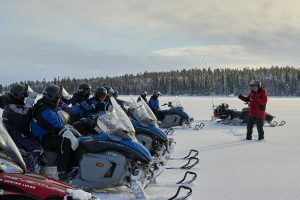 All the while the guides share their stories and experiences and by the end of your visit you will have made several new friends from within our team. 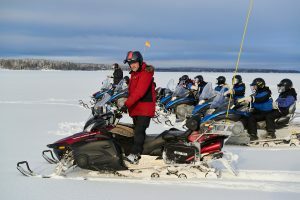 One of our most senior guides is Patrik Carlman. 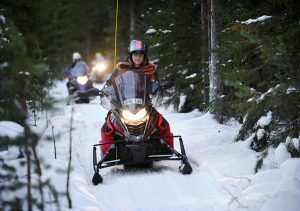 Patrik’s guiding story starts in Swedish Lapland in the small village of Arjeplog. 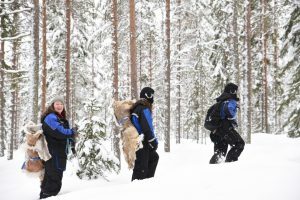 With a population of only 1822 people in an area of 12 804 square km this is is a really remote area and undoubtedly helped form Patrik’s love of nature and the outdoors. 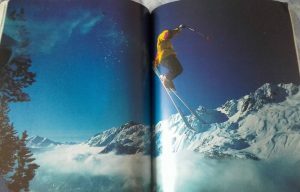 In his 1986 with a desire to see more of the world Patrick put his skiing skills to good use when he answered an advertisement for photography ski models in the European Alps. 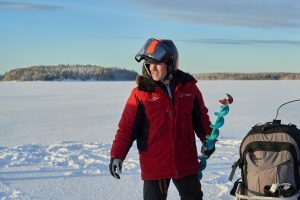 This adventure saw Patrik appear in a variety of famous ski magazines as well enjoying the ski resort lifestyle and spending a lot of time skiing. In 1988 Patrik returned home and started competing seriously in downhill skiing and was taken very quickly into the Swedish national team. His speciality moguls. He had only 10 official competitions before his first world cup and finished a very credible 12th place. 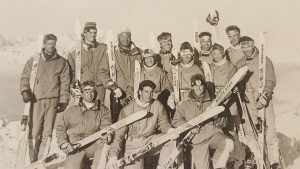 The Swedish National ski team from 1991 with Patrik on the far right. 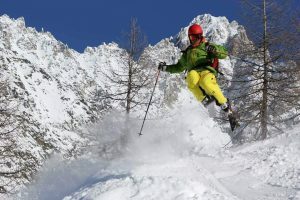 Injury however forced Patrik’s retirement from competitive skiing and he moved to work for the region athletic federation helping manage training requirements for sporting clubs. Then 15 years ago Patrik started guiding with Brandon Lodge and found a lifestyle balance that suited him down to the ground. 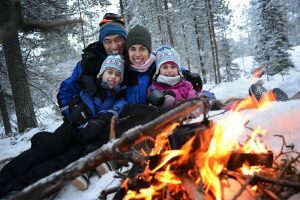 In their spare time, Patrik and his family like to spend time at their small cabin on an island in the Swedish Lapland archipelago to the north of Brändön Lodge. They are most often there in the quieter summer months where there is plenty of time to relax and enjoy the quiet life. 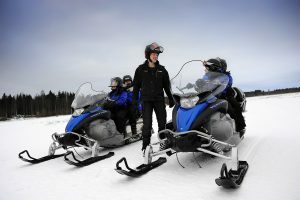 Winter is the busy season at Brändön Lodge for nature based activities and Patrik can be found working long days taking care of guests, planning and preparing for activities around the weather and guests capabilities with a focus always on safety while having fun. Patrik has has a couple of hidden talents. 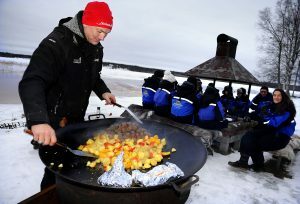 The first of these is the amazing outdoor meals he prepares for guests on our nature explorations. 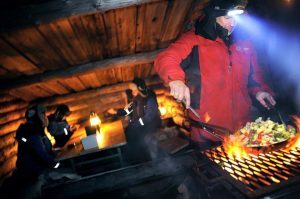 The cold air and outdoor life tends to make us a little hungry and the great meals cooked over an open fire in the outdoors are appreciated immensely by all our guests. Back at home base Patrik’s other hidden talent is as a musician. 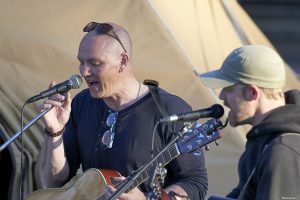 Having learnt music in his childhood he returned to it in is 40’s and now plays Guitar, drums and Piano. 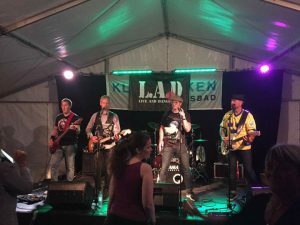 He is a fan of rock music and in particular the band Marillion (their early work) and himself plays in different local bands at “after ski”, functions and private parties. Patrik is an intricate part of our daily life at Brändön Lodge in Swedish lapland. 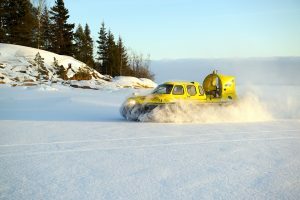 Sweden’s arctic destination. You are most welcome to come and hang out with Patrik and the rest of the team. Pet Peeves: Surströmming (local fermented fish) and the weapons industry. Best advice: Don’t form an opinion before you have all the facts in front of you. Favorite place in the archipelago: Island where the family cabin is located. Favorite food and drink: Pasta and water (and perhaps a cold after ski beer).